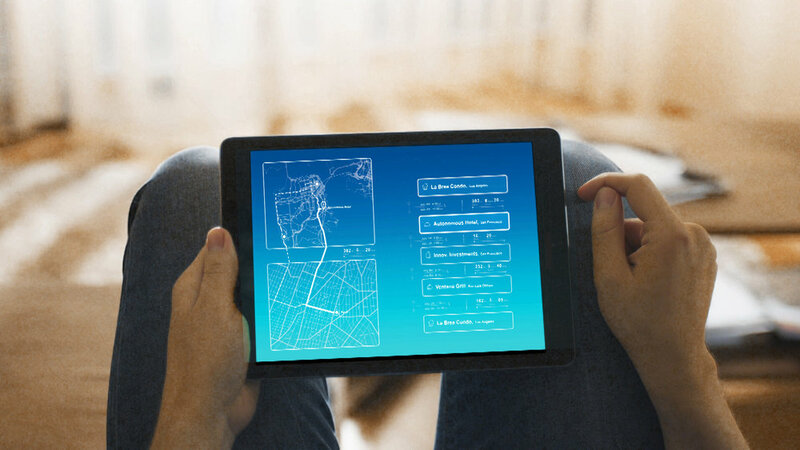 The Autonomous Travel Suite integrates transportation and hospitality through a driver-less, mobile suite offering door-to-door transportation service between the traveler’s home and destination. In a compact hotel room environment, the suite is equipped with the basic sleeping, working, and washroom facilities, allowing the guests to use their travel time more efficiently and productively. Using Autonomous Driving technology, the travel suite takes you to multiple destinations, serving as your personal vehicle and mobile hotel room. The travel suites are operated by Autonomous Hotel Chain, which is a network of hotel facilities offering stationary parent units and public amenities that can be added individually, depending on the travelers’ need. 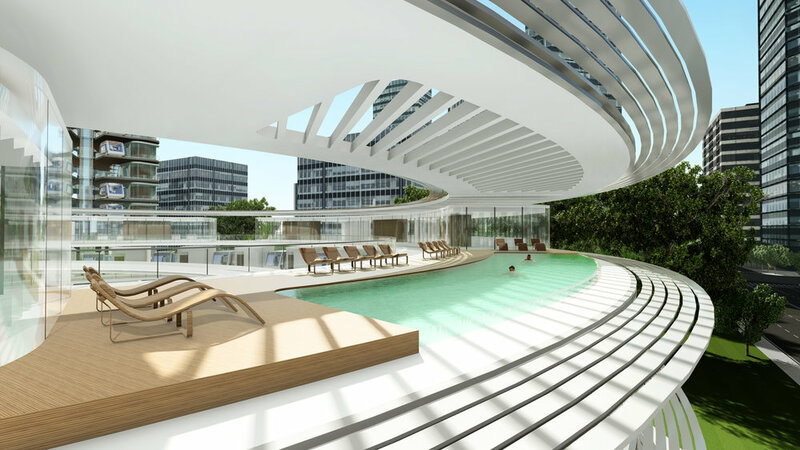 It provides public amenities such as food and beverage, meeting room, spa, pool, and gym along with housekeeping, maintenance, and charging services for the travel suites. Each facility can be booked individually, meaning travelers can use any nearby Autonomous Hotel facilities such as gym, pool, or meeting room as much as they need during the travel. 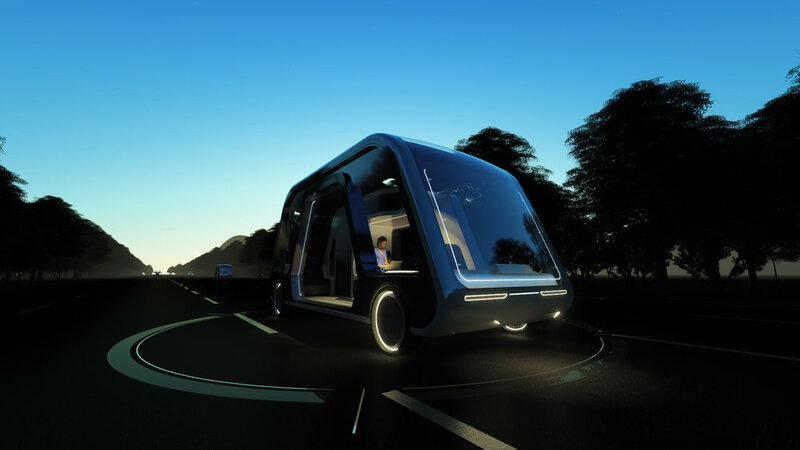 Autonomous Hotel also has uncrewed service vehicles that can be dispatched to the nearby Autonomous Travel Suites, providing fresh batteries or room services. Autonomous Hotels offer parent units where individual Autonomous Travel Suites can dock into, forming upscale integrated units. Autonomous Travel Suite differs from normal autonomous commute cars in that it is a specifically designed and serviced mobile space operated and managed by hospitality professionals. Long-distance travel requires a room, a space that is properly equipped with the right furniture, equipment, environment, and human conditions. When it comes to long-distance travels, the actual limitations are not about “How long can a car drive you around?” or “How long can the battery last?” The real issues are about “How long can people stay inside a limited space?” or “What can people actually do during the long travel time?” Travelers need a real space with washrooms, beds, desks, windows, and natural light, which is why the fancy, new autonomous car designs will simply not work for long-distance travels. 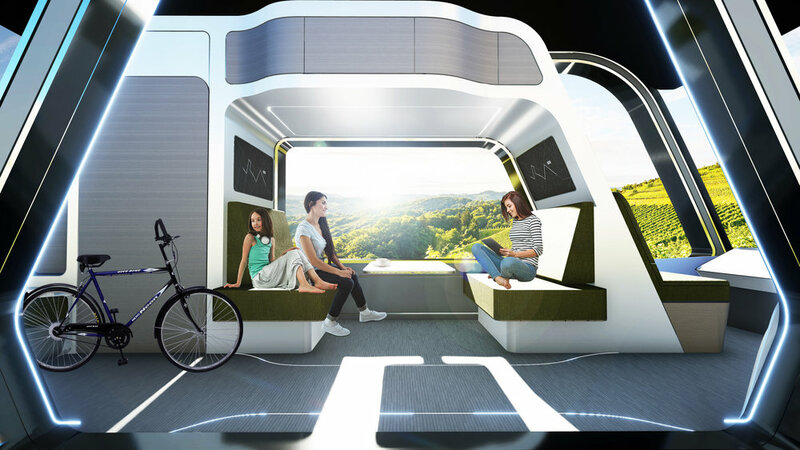 Autonomous Travel Suite is a specialized hospitality-serviced mobile room, not a car. It is a platform hosting new technologies and hospitality services that can make travel more convenient and meaningful. 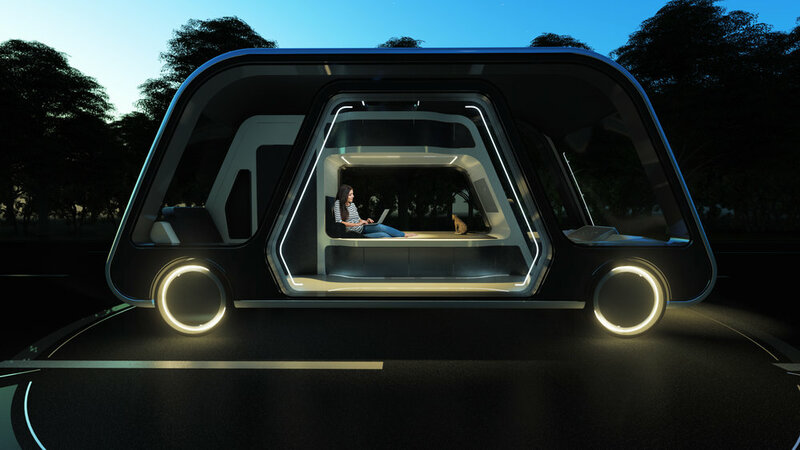 Autonomous Travel Suite is a new form of hospitality merging transportation and hotel into one form, offering flexible travel schedules, lower costs, privacy, and, above all, comfort. Compared to domestic flights or train travels that require multiple steps of transfers and check-ins throughout the travel, Autonomous Travel Suite operates as your personal rental car and hotel room, providing unlimited flexibility and mobility at a cheaper cost. Autonomous Travel Suite’s rental cost basically covers the cost for local transportation (taxi or rental car), air flight, and hotel altogether, which makes it a more competitive option compared to domestic flights or train travels. If more than one person is traveling, the overall travel cost becomes even more competitive. Most of the major cities in the United States are located within a less than a 10-hour driving distance, where intercity transportation is mostly fulfilled by domestic air flights and train connections. However, flights or train travels require secondary means of transportation to get to or from the airport or station involving a lengthy transfer and check-in process with fixed schedules. Normally, this process makes the overall travel time from two cities over six hours at the minimum, which is why Autonomous Travel Suite is a competitive option. The United States interstate highway systems are well developed and maintained to be used for intercity road travels along with great infrastructure built around it. With the many pre-existing hotel chains, rental car facilities, and gas stations, the autonomous driving infrastructure can be relatively quickly developed and added to the existing infrastructure. Hotel brands can come up with action plans to gradually upgrade their services to fit the advanced technologies. On the evening of October 3, a finalist presentation and panel discussion for Radical Innovation Award 2018 was conducted at the New Museum in New York City. The panel discussion and Q&A session involved juries and audience who are leaders from across the hospitality, design, real estate, and finance industries. The followings are some key points from the discussion. Autonomous Travel Suite is a hospitality service specifically designed for long-distance travels. It is different from personal commute or leisure cars. It is a hospitality service that covers the full scope of travel, door-to-door. 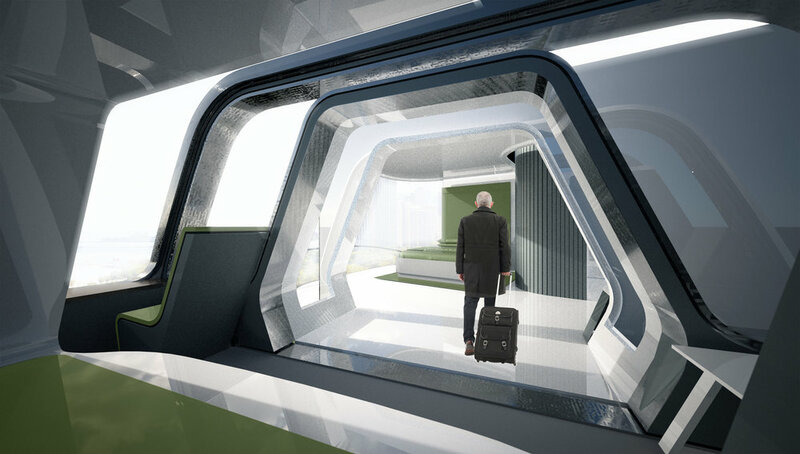 Autonomous Travel Suite is designed to be a room, not a car. It is a room that has the flexibility to customize the usage, scale, furnishings, appliances, and services. You can use the online app to select necessary features individually (like a cradle or tv screen, among others), and it will be delivered to your front door with all your needs. Autonomous Hotel Chain is like a joint operation between a rental car chain and hotel chain. It has properties in every city and within a 1- to2-hour driving distance. Autonomous Travelers can book any of the nearby facilities (like gym, pool, shower, and parent suites), and these will be charged per usage. If it is a short day trip, you don’t need to use any of the services; you can just stay in the Travel Suites. 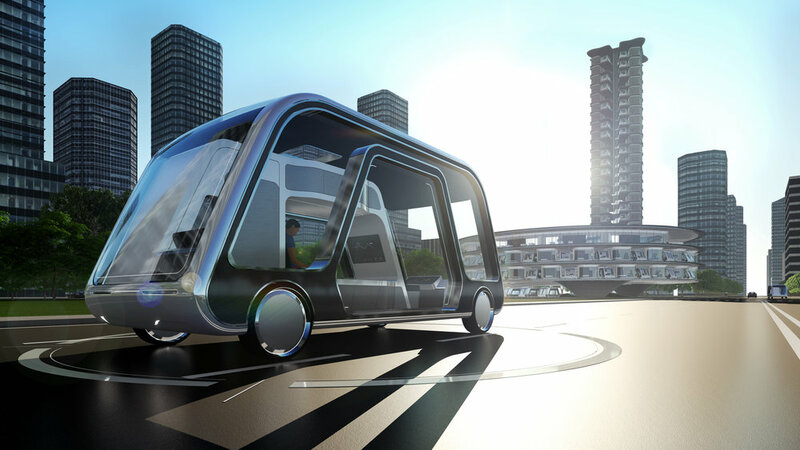 Autonomous Travel Suite is an electric vehicle. The batteries will be maintained by the Autonomous Hotel Facilities, and if you need replacement, the service vehicle will come and exchange your batteries with a new one. No need to wait, just plug in and charge the batteries. Radical Innovation Award is an annual design competition inviting innovative ideas related to Hospitality. Founded by John Hardy Group and co-produced with Global Allies and Sleeper Magazine, the event invites leaders from across the hospitality, design, real estate, and finance industries to discuss innovative ideas and projects around the world. Innovator-level sponsors included Beyer Brown, DFL Legal, Martin Stringfellow Associates, Son & Sons and the UNLV School of Architecture. Visionary-level sponsors included Magnetic, Castell Project and RIVUR. Radical Innovation Award is a 2-stage competition with the first round submission completed on April, 2018.